Japanese Prime Minister Abe Shinzo has become fairly famous for his loyalty to key appointees in his administration, sticking by them even as they weather numerous scandals. Unfortunately for Abe, his latest displays of loyalty have backfired spectacularly, threatening to hurt him at a time when he's enjoying a wave of public support in the wake of announcing the name of Japan's next Imperial era. And he owes it to two men who just couldn't keep their big mouths shut. The first guy to get Abe in trouble was National Transportation Vice Minister Tsukada Ichiro (塚田つかだ一郎いちろう). I wrote extensively about Tsukada on our Twitter account - including the key Japanese word, sontaku (忖度), that was behind his sacking. If you're interested, check out the full story there (first tweet embedded below). Long story short: Tsukada was recorded telling an audience how he pushed through a major construction project as a favor to the Prime Minister and Deputy Prime Minister. Today's Japanese language lesson: 忖度 (sontaku). Tsukada obviously thought he was selling himself to Abe for some sort of big promotion. Instead, Tsukada was forced to relinquish his post in the Transportation Ministry. Abe continued to back Tsukada until it was clear the political firestorm wouldn't diminish until he stopped down. So far, Tsukada's managed to stick to his guns and not resign his elected position in the Diet - an unusual boon for a politician caught up in such a high-profile scandal. So Abe was already having a bad time during a period when his admin should have been basking in the Reiwa limelight. And then Sakurada Yoshitaka came along and made his bad time worse. So it appears my name is known through the world because of it. Whether that's good or bad is neither here nor there, but I guess I'm famous. A chorus of jeers rose from the hall. "How can it be a good thing!" The incident was a huge black eye for Sakurada, with some voters expressing regret they'd ever voted for him. Yet, despite the outrage, Sakurada managed to hold on to both of his posts. And then the hits just kept on coming. 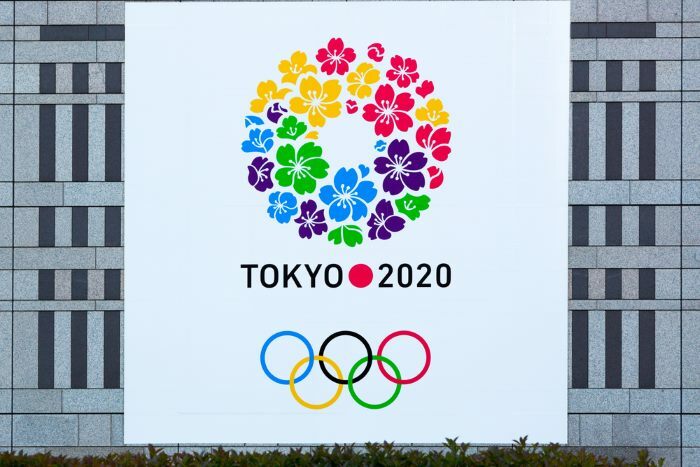 Loyal readers may remember that our own Krys Suzuki touched briefly on Sakurada's penchant for verbal gaffes in her write up last year about Japan's Olympic preparations. During testimony before the Diet, for example, he misstated the budget for the Olympics as somewhere around USD $15, and referred to a member of the opposition party, Renhou, as "Renpou." Earlier this year, when star swimmer Ikee Rikako (池江璃花子) was diagnosed with leukemia, she received an outpouring of support from Japan, and from the international athletic community. By contrast, Sakurada was quoted as saying: "It's dejecting news, given she was a player we had high hopes for." The comment was interpreted widely as Sakurada being more upset at the loss of Olympic gold for Japan than at the chance Ikee's disease could kill her. (JP) Link: Olympic Minister Sakurada Apologizes for Comments about Ikee; Jiminto Staff: "He Has a Weak Sense of Danger; How Should You Perform His Last Rites?" Sakurada then found himself in the news again when, during a meeting of Japan's House of Councillors, he pronounced the name of the city of Ishinomaki as "Ishimaki" three times, despite people yelling corrections at him from the gallery. It was the kind of mistake that a non-native speaker might make, but wasn't a mistake an adult Japanese person would usually make - particularly not one whose profession reputedly centers on public speaking. And yet none of this was enough to get him fired. PM Abe continued to stand by him, and ensured the public he'd see to it that Sakurada got back to basics and did his job correctly. According to Mainichi Shinbun's reporting, Abe had plenty motivation for wanting to keep Sakurada around: he's a key member of the Nikai faction of the Jiminto that currently supports Abe, and losing him could damage the Jiminto's prospects in the next round of elections. Abe's confidence, it turns out, was ill-placed. I would be grateful if, with your hearts filled with hospitality, you cooperate with us in the recovery. And more important than the recovery is Mrs. Takahashi. When asked about the statement later in the evening, Sakurada denied having any memory of having said it. Unfortunately for him, it had been recorded, and the recording quickly went viral. Unlike other scandals surrounding Sakurada, which tended to linger for days or even weeks, this one put the Prime Minister's office in immediate crisis mode. The Japanese public has little tolerance for anyone who makes light of the devastation wrought by the tsunami, and Abe - who's made recovery a key part of his platform - has typically dealt with such cases swiftly. Within two hours, Cabinet Secretary Suga Yoshihide informed Nihai that the PM could no longer cover for Sakurada. Sakurada's position as Olympics minister didn't survive the day. Even with Sakurada out, however, danger lingers for Abe's government. The back to back gaffes by his ministers has punctured the momentum that Abe had from the Reiwa announcement and the announcements regarding Japan's new currency, which is set to debut in 2024. Instead of riding a wave of patriotic good will and popular support, Abe and his supporters are now worried his government might be set to repeat the bitter loss he suffered in 2007 during his first leadership, when public support for Abe plummeted and he lost grip on power. Whether Abe survives this will depend on how quickly he can get the Japanese public to focus again on positives like the new era, the economy, and the 2020 Tokyo Olympics. And, perhaps, on how well he can get his gaffe-saddled ministers to keep their big traps shut. How a t-shirt worn by a boy band member might make the bad relations between South Korea and Japan even worse.